The author of the idea: Scriptor. The MQL5 code author: Vladimir Karputov. The Expert Advisor uses the Donchian Channel indicator. 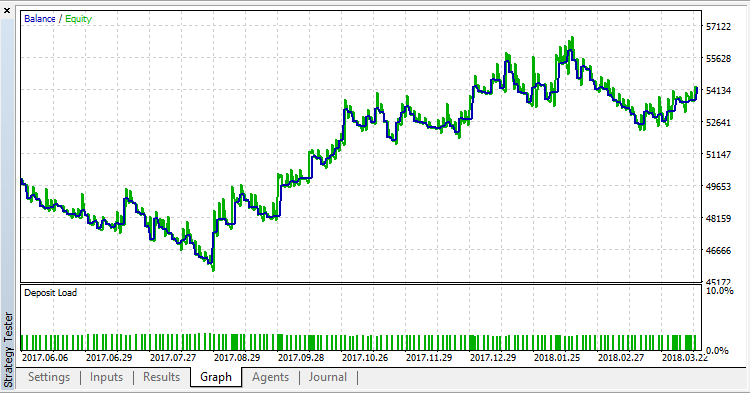 Limitations: no more than one position can exist in the market, the next position can be opened not earlier than in 24 hours. Donchian Channel indicator values are used as signals for opening a position and applying the trailing stop function. 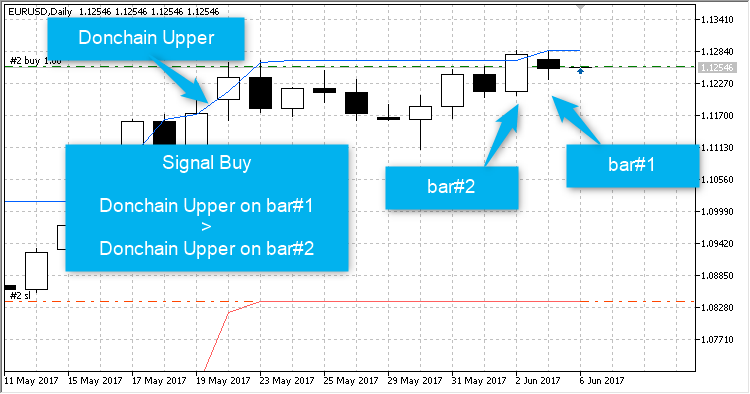 The lower indicator buffer is analyzed for SELL signals: if the lower buffer of the indicator on the first bar is less than on the second one, it is a signal to open SELL. Magic number of the strategy - the unique ID number for the Expert Advisor.